Achieving a targeted, competency-based curriculum through an international partnership focusing on health systems strengthening is a challenge. 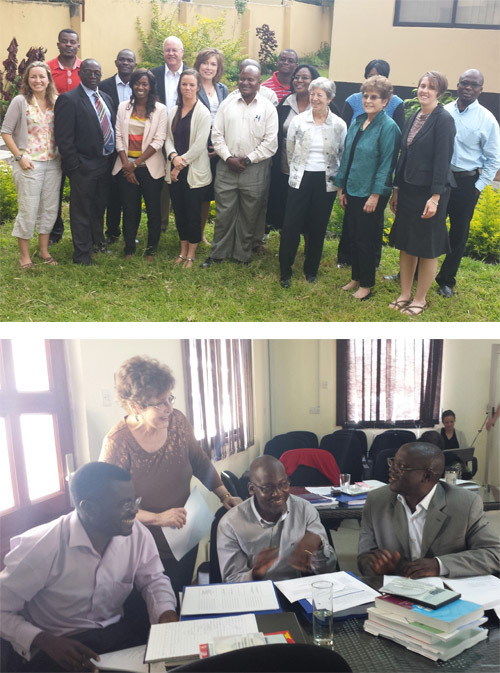 Guided by community-based participatory research (CBPR) principles, researchers from Saint Louis University’s College for Public Health and Social Justice (SLU) Department of Health Management and Policy joined an international effort to develop a hospital-based leadership and governance curriculum in a sub-Saharan low-to middle-income country (LMIC). This qualitative case study provides insight for (a) working with international partners to develop a health systems strengthening competency-based framework, (b) enhancing healthcare leaders’ ability to engage stakeholders in efforts to improve community capacity in delivering health services, and (c) analyzing a CBPR approach in developing a health systems strengthening competency framework. Results indicate that a tailored, culturally relevant CBPR approach for developing a competency-based curriculum in a LMIC country is possible despite challenges. In particular, the CBPR approach provides a way to incorporate culturally relevant issues unique to the healthcare environment and context when developing a competency-based curriculum, while honoring all part-ners’ viewpoints. The CBPR approach builds a foundation of trust among all partners, including research partners, which is critical for a true collaborative engagement among all partners. For more information, view the complete manuscript here. Dr. Kristin Wilson has designed an immersive, graduate level Health Management and Policy competency-based course “Comparative Health Policy and Systems”, in collaboration with Dr. Usman Khan, Executive Director of the European Health Management Association and Principal of Modus Europe. The course location is London, UK and is an immersion into the United Kingdom’s National Health Service (NHS). 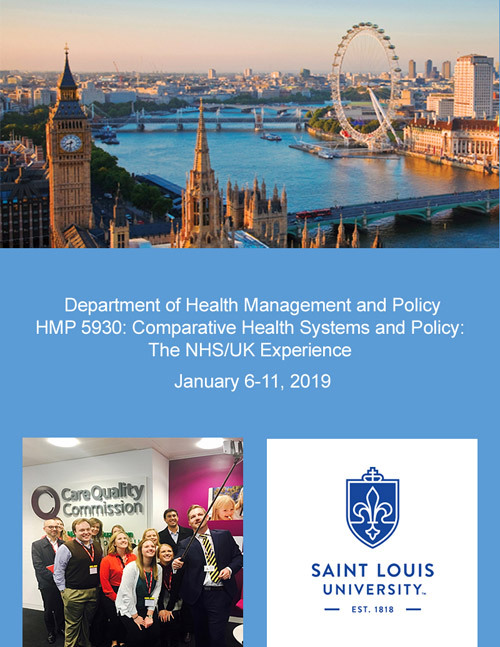 Students that are a part of our graduate MHA and MPH HMP student can take this elective course to enhance their competency development from a global perspective. A variety of different aspects of the NHS are included in the experience, such as: value-based care and payment, mental health, primary care, ambulatory care, acute care, quality, finance/budgeting/commissioning, policy and reform, community pharmacy, public health, private insurance, and health care innovation. For more information regarding this global project, view this document.